The US Navy and General Dynamic' Electric Boat division, which will be the primary contractor for the Navy's new fleet of ballistic missile submarines, have been working hard to complete the specifications and designs for the next-generation ballistic missile submarine. With construction scheduled to begin by 2021, it is critical that they get the final document completed in early 2014. The following article announcing the news states that the specifications for the new subs "establish the requirements the numerous ship systems must adhere to in order to meet defined warfighting requirements." The only "warfighting" these submarines are designed for is nuclear warfighting, and as David Krieger recently wrote (as have a number of experts), even the most limited nuclear war will result in global catastrophe, including hundreds of billions of deaths from global famine. The submarines currently in service as well as those that will replace them are designed for only one purpose, and that is to wage nuclear war - whether by first strike or counter strike. The government still justifies the new submarines through the archaic Cold War doctrine of "constant strategic deterrence." Nowhere in the conversation surrounding the justification for the new subs has there been any debate surrounding this obsolete concept. There is no rational justification for building 12 new ballistic missile submarines at a total estimated cost of $100 billion. Groton, Conn. — The U.S. Navy and General Dynamics’ Electric Boat are close to finishing specifications and designs for the country’s next-generation ballistic nuclear submarine, the Ohio Replacement Program, or ORP. 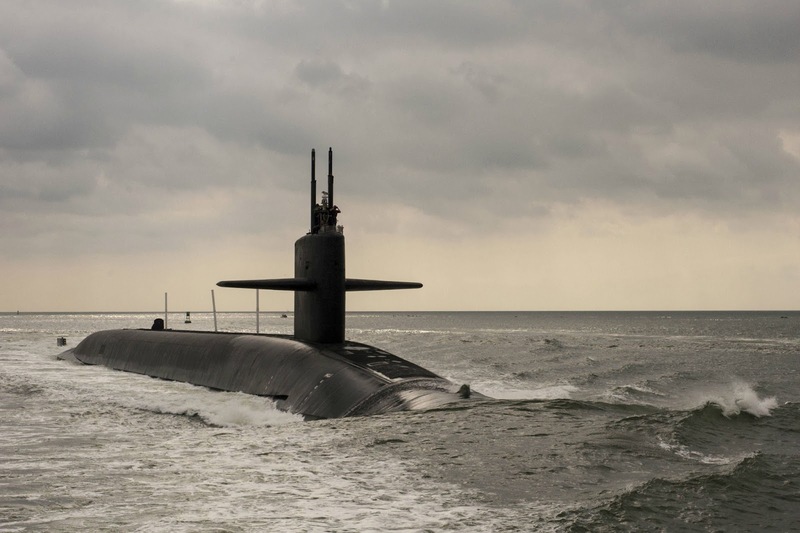 The Ohio Replacement Program team is poised this year to finish up a 600-page ship specification document detailing designs and plans for the submarine, Navy and Electric Boat officials said. “This spring, the Ohio Replacement Program will finalize the remaining few of the 161 Ship Specifications. These specifications establish the requirements the numerous ship systems must adhere to in order to meet defined warfighting requirements,” Capt.William Brougham, ORP program manager told Military​.com in a written statement. Slated to enter service in 2031 and serve through 2085, ORP, a so-called SSBN, is scheduled to begin construction by 2021. Requirements work, technical specifications and early prototyping are already underway at Electric Boat locations in New London, Ct. and Quonset Point, R.I. Consisting of three volumes, each with hundreds of pages, the ship specification documents are designed to detail the configurations, designs and technical requirements for the boat, said Brian Wilson, ORP director, Electric Boat. “We are very much in the technology and getting the requirements set phase. We’ll finish the ship specs this year, multi-volume documents that tell you everything about how you’re going to manage the design,” said Wilson. The ship-specifications detail the systems, technologies and electronics as well as crew plans, design intentions and overall integration, Navy officials said. Designed to be 560-feet– long and house 16 Trident II D5 missiles fired from 44-foot-long missile tubes, ORP will be engineered as a stealthy, high-tech nuclear deterrent able to quietly patrol the global undersea domain. 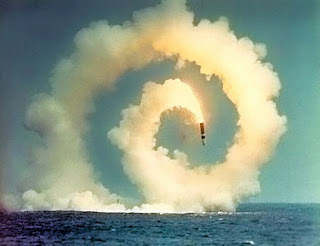 “The key thing about the SSBN is that it is out there maintaining a constant strategic deterrence,” said Wilson. The rationale for these submarines is to guarantee a nuclear response capability in the event that an adversary launches a first attack. Electric Boat and the Navy are also already progressing on early prototype work connecting missile tubes to portions of the hull, Wilson said. Called integrated tube and hull forging, the effort is designed to weld parts of the boat together and assess the ability to manufacture key parts of the submarine before final integration. “The key here is reconstituting the vendor base for missile tubes, which are 45-feet-long and weigh about 50 tons. We integrated these tubes into two large welds at the top of the hull to produce what we call a 4-pack. In 2017 and 2018, we will build a first-article quad pack,” said Wilson. This manufacturing strategy is intended to be a modular, more efficient and lower cost effort compared to the previous class of Ohio submarines. The Navy is hoping to keep the cost of each ORP to below $5 billion in 2010 dollars for boats 2 through 12, service officials said. “The early investment in development and rapid prototype and testing the integrated tube and hull is essential to reduce construction costs and to shorten the overall construction time span for both the U.S. and UK SSBN programs,” Brougham said. In 2012, General Dynamics Electric Boat was awarded a five-year reasearch and development deal for the ORP with a value up to $1.85 billion. The contract contains specific incentives for lowering cost and increasing manufacturing efficiency, Navy and Electric Boat officials said. The first ORP boat is slated to be operational by 2031. With the prior Ohio-class, the manufacturing technique first worked from an empty hull cylinder and then cut holes for missile tubes, Wilson added. The new strategy is designed to maximize efficiency and construct key elements before they are connected to an integrated boat. The U.S. and U.K. are together immersed in a common missile compartment effort for ORP. In fact, the U.S. and U.K. are buying parts together for the common missile compartment and working on a $770 million contract with General Dynamics’ Electric Boat. The U.S. plans to build 12 ORPs, each with 16 missile tubes, and the U.K. plans to build four nuclear-armed ballistic submarines, each with 12 missile tubes. The ORP is being designed with a series of next-generation technologies, many of them from the Virginia-Class attack submarine. In particular, the ORP will utilize Virginia-class’s fly-by-wire joystick control system and large-aperture bow array sonar. The ORP will also use Virginia-class’s next-generation communications system, antennas and mast. For instance, what used to be a periscope is now a camera mast connected to fiber-optic cable, enabling crew members in the submarine to see images without needing to stand beneath the periscope. This allows designers to move command and control areas to larger parts of the ship and still have access to images from the camera mast, Electric Boat and Navy officials said. ORP is also being engineered with a new, more powerful nuclear reactor core compared with existing Ohio-class submarines, Navy and Electric Boat officials explained. This will enable a submarine to serve for as long as 42 years without needing what’s called mid-life refueling of its nuclear reactor. This is part of the reason the Navy believes it can effectively complete its mission requirements with twelve SSBN boats, Navy officials said. 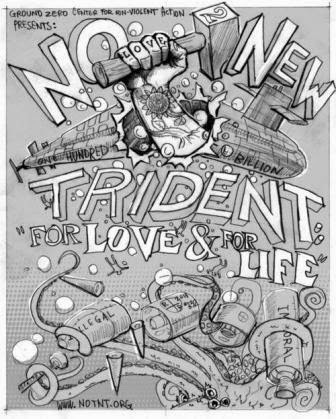 To Abolish Trident, End the Arms Race!! !